Today is National Pizza Day!!! 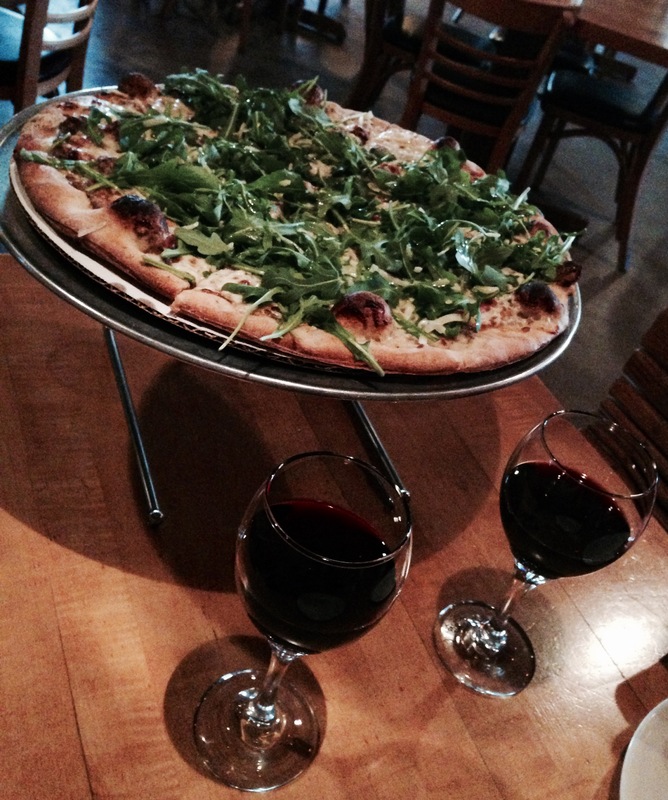 We did our part – sharing a delicious Tuscan Truffle and a bottle of red at Brick Oven (the best in our book). Heaven on a Monday. Author sheila365Posted on 02/09/2015 Categories Food & Drink, Fun, inspiration, LifeTags 365 project, Austin, brick oven, national pizza day, photoblog, photographyLeave a comment on Mmmmmmmmm. Yum. Happy NPD! Imitation is the finest form of flattery. We love to make homemade pizza at the house. Monte has longed to have a wood-fired pizza oven of our own. We opted out of one when we remodeled the kitchen a few years back. 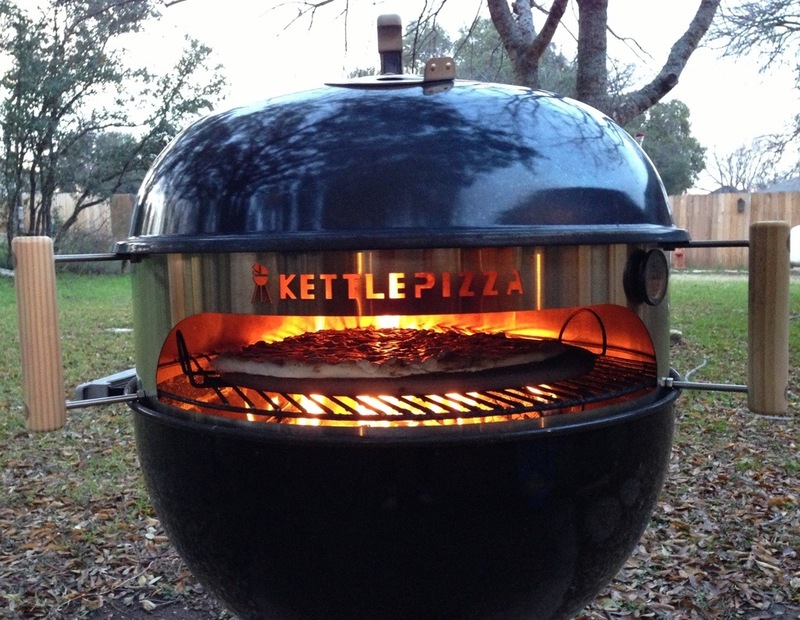 For Christmas this year I got him a Kettle Pizza kit for making pizza outdoors, on the grill. It had great reviews and seemed to be worth checking out. There is one pizza they make that is fantastic and we have always wanted to try making it ourselves: the Tuscan Truffle. So…tonight we fired up the kettle and gave it a go. And…. We NAILED IT! The “sauce” is a mushroom pesto – made out of sautéed mushrooms, parmesan cheese and truffle oil puréed in a food processor. The toppings are prosciutto and mozzarella cheese (just a little, not much of either). It only took about 5 minutes in the kettle pizza oven. 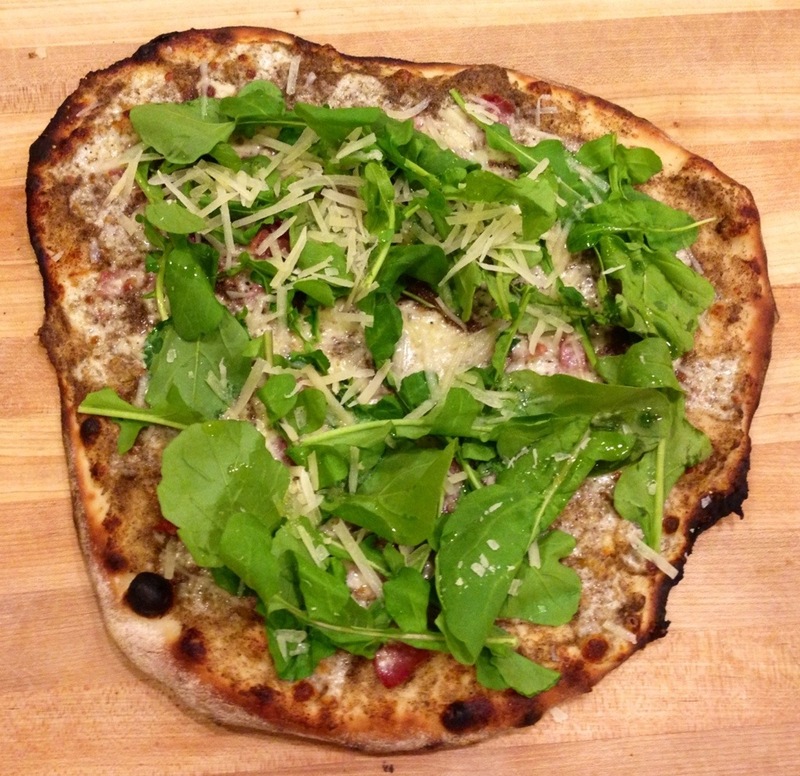 After removing, add arugula and grated asiago cheese on top to wilt / melt from the heat of the pizza. Drizzle a little more truffle oil on top and VOILA! Delicious. Author sheila365Posted on 01/10/2014 02/03/2014 Categories Family, Food & Drink, Fun, Gadgets, Life, RecipesTags 365 project, brick oven, kettle pizza, KettlePizza, photoblog, photography, pizza, postaday, postaweek, Tuscan truffle7 Comments on Imitation is the finest form of flattery.